Today, on the eve of its biannual meeting, the Groundfish Enterprise Allocation Council (GEAC) unveiled its new name, the Atlantic Groundfish Council®. The rebrand includes a new website and tagline Responsibly Harvesting for Tomorrow, emphasizing the association’s commitment to a balanced, sustainable groundfish industry that puts the responsible management of the resource first and foremost. The industry association represents year-round groundfish harvesters in Atlantic Canada. “The Atlantic Groundfish Council and its members believe in a sustainable, stable and prosperous groundfish industry for Canada, and we are committed to doing our part to make that vision a reality,” explained Kris Vascotto, Executive Director of the Atlantic Groundfish Council. The fishery has evolved significantly since the Council was formed over 20 years ago. Sophisticated global markets are increasingly focused on sustainability and quality. Local communities and governments are also considering how the fishery can provide meaningful employment and economic opportunities in rural communities for generations to come. The Atlantic Groundfish Council team has grown over the past several years to include in-house expertise in fisheries science and sustainability standards. The group has partnered with industry associations, governments and international customers on its sustainability projects. 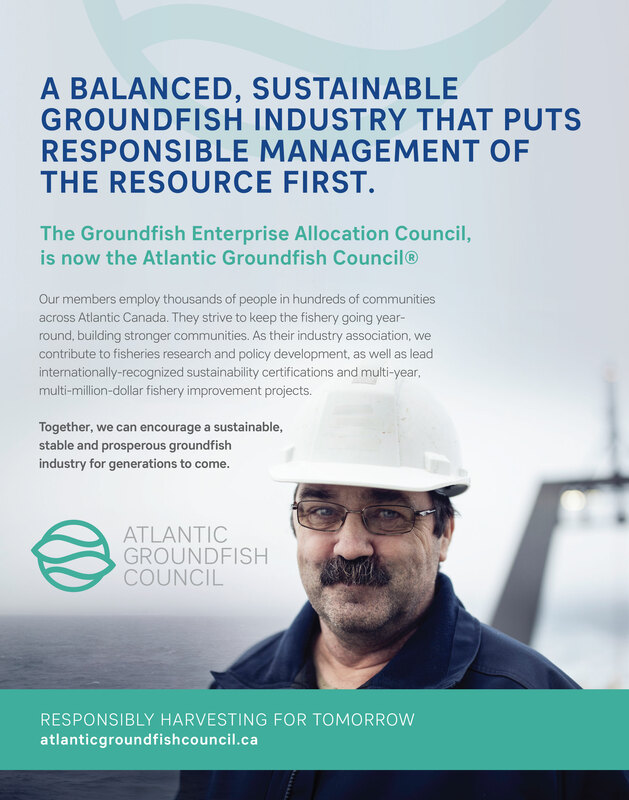 The members of the Atlantic Groundfish Council provide thousands of year-round jobs in areas where employment alternatives are often limited. Together, they represent an anchor industry that not only supports the crews on vessels and workers in plants, but also workers in boatyards, cold storage facilities, gear providers, welding shops, maintenance facilities and other service industries that are tightly integrated in the marine sector. The Atlantic Groundfish Council (formerly GEAC) is a non-profit industry association representing year-round groundfish harvesters in Atlantic Canada. Its members employ thousands of people, in mostly year-round jobs, in rural communities throughout Atlantic Canada. The Council contributes to research that will improve the sustainability and management of groundfish fisheries by actively supporting science, sustainability certifications and responsible management.